Itransact | Insights | General | Does it make sense to replace “old” ETFs with new “cheaper ETFs? Does it make sense to replace “old” ETFs with new “cheaper ETFs? New ETFs are released into the South African market from time to time. We are often asked if we would consider bringing these new ETFs into our portfolios. Our reply is of course that this is a procedure which is subject to our ETF selection criteria. It happens from time-to-time that a newer “cheaper” ETF tracking the same index as one of the “older” ETFs we currently hold in our portfolios appears on the market. The cost saving to replace old with new would have to be substantial enough to warrant the trading costs of switching out a significant portion of the portfolios capital. 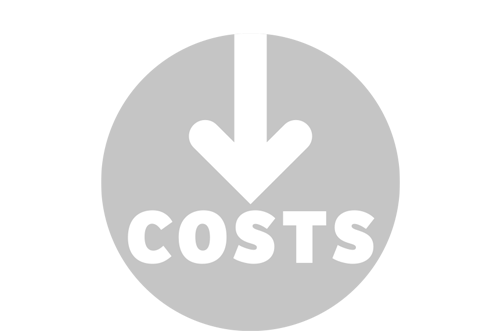 We want to avoid any additional and harmful costs at all times. If the ETF we wish to replace represented 20% of the portfolio, then we would have to sell 20% of our portfolio to get rid of the old ETF and buy 20% to bring in the new ETF. That represents 40% of the portfolio which would cost around 4.8 basis points trading costs for the year resulting in an increased investment cost. 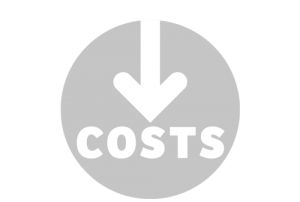 We want to avoid any additional and harmful costs at all times. Now remember the new, relatively cheaper ETF represents 20% of the portfolio, so its cost saving would only contribute 20% of its relative saving to the portfolio – that is 1/5th. So to compete with the costs of the switch, the new ETF would have to save 5 times more than the 4.8 basis point costs of the switch, which is 24 basis points. The new ETF would have to be 24 basis point cheaper over a year! With most ETFs already significantly cheaper it is seldom that this is true enough to justify the switching. This is why we would seldom switch for this reason alone. We analyze the performance of the ETF to determine if it displays good liquidity. We analyze the performance of the ETF to determine how it fits into the South African market structure and if and only if it has a reasonable degree of complementarity to other ETFs then we consider the ETF for selection. An ETF with good complementarity to other ETFs means that it will bring good diversification power to our portfolios when used along with other selected ETFs which also have good complementarity. This selection process results in a well-diversified portfolio. We analyze the performance of the ETF to determine its returns relative to other ETF considered above in terms of its returns net of investment costs. This ensures that the fees and costs are incorporated into the selection process. We analyze the performance of the ETF to determine its risk profile. We compare this risk profile to a measure of the usefulness of the ETF. This means that we consider how much the investor would feel they are being compensated in capital growth for the risk of investing in the ETF. We call this measure utility and it is a measure of how much an investor is willing to risk. Once we have these measures we weigh different combinations of ETFs against each other and decide which combinations best satisfy the above measures as a whole portfolio. This becomes our ETF selection for our portfolio. To achieve this analysis with a high degree of certainty requires a significant length of ETF price performance daily data. We can therefore only consider ETFs with enough days of data and that is usually 4 to 5 years’ worth of history. Less history than this would certainly bring inaccuracy to our selection process. As we are passive index managers we have this process to ensure that our turnover in asset allocation is very low as it should be with a long term, passive investment philosophy.